We found 187 jobs near you! The games industry is now the largest entertainment industry in the world, generating roughly twice the revenue as the international film industry. Game developer jobs are in high demand and the games industry encompases a wide range of careers, both creative and technical. People hoping to go become a game developer will find many opportunities for self learning as well as an increasing number of degree courses. Pay is highly variable depending on role and sector, with game developers in the independent sector making considerably more than those working for larger companies. Senior game developers within the core industry can command high salaries. Game Designers define the core elements of a game, including gameplay, combat, game objectives, characters, story, and interface design. Their task is to communicate these core elements to programmers, artists, production, and marketing staff. They need to have a good knowledge of different platforms, engines and software packages, understand technical constraints, and manage quality assurance testers to make sure the project stays true to its design. Programmers are responsible for creating the code that makes the game work. They may specialize in engine development, AI, physics, tools development, user interfaces or other areas. Tasks include developing the technical specification for a game, writing the code that makes the game work, compiling technical documentation, creating new and improved game builds, and tracking and fixing bugs. Animators use the technology of a game’s engine to animate the moving parts of the game within the limitations of the platform, using a wide range of software to portray movement, animate characters, add weather effects, create models, and design cutscene animations. They are the ones that carry out the rigging and skinning of models within the game, taking direction from artists to make sure each item looks the way it was designed. Project Managers and Producers oversee the management of a development team, making sure that everything comes in on time and within the allowable budget. They oversee all aspects of development and delivery, liaising with different members of the team and organizing meetings, timelines, and projects. They are the central contact point for the team and also deal with clients, contractors, and PR. Artists are responsible for the visual elements of a video game. They create concept art, design models, units and sprites, and work with developers and animators to produce game environments. They also provide artwork for websites and marketing purposes. The way a game looks makes a huge difference as to whether or not it is successful, and many games are celebrated for their art style. As technology advances, the art in games is becoming increasingly more complex and realistic. Salaries vary widely within the games industry, partly as a result of its diversity. While larger games companies like Electronic Arts and Blizzard pay salaries ranging from $80,000 to $150,000 for technical roles, many smaller studios are not able to match these numbers. Additionally, many game developers work alone or for small independent studios for lower salaries in exchange for shares in the company itself. A report by Gamasutra showed that solo developers earned an average of just $11,812 in 2012, while the average member of an indie tal earned an average of $50,833. For indie teams and solo developers, salaries depend almost entirely on games sales. The video game industry is growing fast, with US revenues from video games exceeding $21 billion in 2015. Mobile and tablet games and next generation consoles like the XBox One and Playstation 4 have also increased the popularity of video games. The indie games sector is also growing rapidly, with more and more smaller studios and solo developers making their mark on the industry. There are a number of routes into the games industry depending on the area you wish to work in, and some require more training than others. 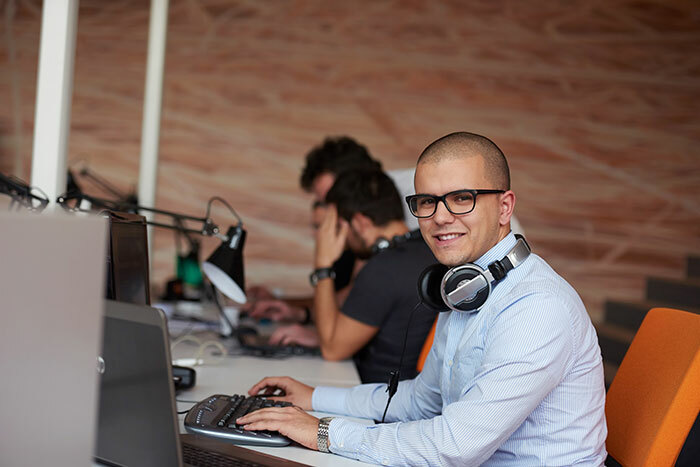 Those involved in the software development and programing side will often have a bachelor’s degree in a related subject, as will many people involved in the art and graphics side of games development. However, a bachelor’s degree is not essential for gaining experience within the industry, as many developers who started out by attending games jams and making their own smaller games have demonstrated. While courses of study can be extremely valuable for the skills and techniques they teach and the opportunities they provide, many games developers are self-taught and have reached more senior positions on the strength of their body of work. Whether you’re self-taught or have a bachelor’s degree, knowledge of relevant programing languages is essential for programming roles. The games industry is constantly growing with many opportunities for advancement. Many people will start off as programmers and advance to more senior positions. On the creative side, successful artists and animators will be able to progress toward more senior positions, such as Art Director or Lead Writer.